Sciatica is a symptom of a problem with the sciatic nerve, the longest nerve in the body. The sciatic nerve exits the base of the spinal cord from your lower back and travels down the back of both legs. It controls muscles in the back of your knee and lower leg and provides feeling to the back of your thigh, part of your lower leg, and the sole of your foot. Pressure on the sciatic nerve can cause it to be inflamed, which results in the condition known as sciatica. No two people experience sciatica in the same way. One patient may feel a knot in the muscles of one buttock, whereas another may feel a dull ache in their calf. Sciatica can manifest itself as a sharp, shooting pain down the back of one or both legs, or as a loss of strength in the leg and foot. Sciatica may also feel like numbness, tingling, or burning in the buttock, hip or leg. Some patients report feeling pain after laughing, sneezing, coughing, sitting, or stretching for any length of time. The symptoms are usually felt on only one side of the lower body and make it difficult to stand up. For some people, the pain from sciatica can be severe and debilitating. For others, the sciatica pain might be infrequent and irritating, but has the potential to get worse. No matter what the symptoms however, the origins of sciatica are the same: subluxation. This is a misalignment of the spinal bones or vertebrae. A vertebral subluxation may result in what is commonly known as a “pinched nerve.” Vertebrae in the lumbar region may impinge on the sciatic nerve directly, causing pain. Vertebral subluxations may also cause a spinal disc to become herniated (collapsed or bulging to one side), which applies pressure to the sciatic nerve. Another way that vertebral subluxations cause sciatica is by irritating the piriformis muscles, which are found in the lower buttocks. The muscles respond with a protective spasm known as piriformis syndrome. The sacrum sits at the bottom of the spine, wedged between 2 pelvic bones. It is stable in order to support the weight of the spine and torso. It is connected to the pelvis by sacroiliac joints, which interlock for additional strength. Even with all of this strength and solidity, the sacrum and its joints can be jolted out of alignment by a fall, a car collision, or even a misstep on an uneven surface. Sacral subluxations result in irritation and inflammation of the sciatic nerve, which is experienced as pain. Bed rest and pain medication are ineffective treatments of sciatica, because the underlying cause remains unchanged. It is only by correcting the underlying source of the problem that lasting pain relief can be achieved. Chiropractors receive extensive training that allows them to locate and correct subluxations. Santa Monica Chiropractor Dr. Jeffrey Ptak, DC, MA has almost 3 decades of experience evaluating patients and tracking down the source of their sciatic nerve pain. Once the origin is determined, Dr. Ptak has a variety of techniques that are tailored to the specific condition and needs of the individual. People from all over California come to see Dr. Jeff. 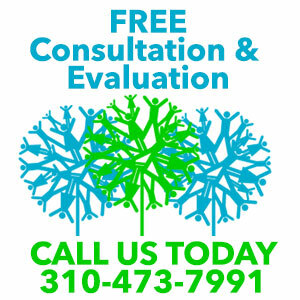 Call (310) 473-7991 to schedule an evaluation and get relief from the pain of sciatica.